(e) 4-jaw with independent, hardened steel, reversible jaws. 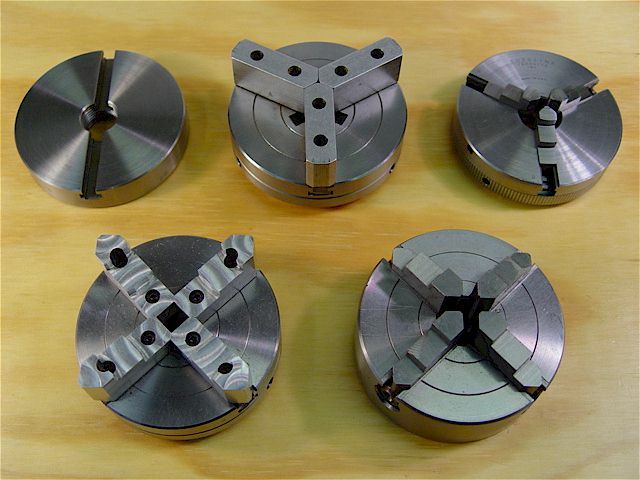 The aluminum jaws can be turned to suit your needs. 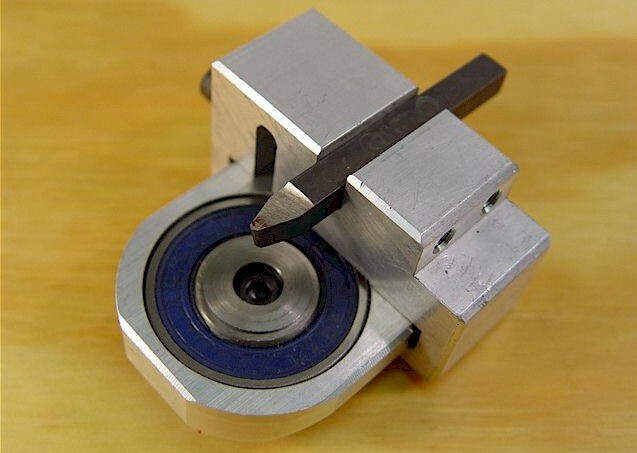 3-jaw scroll (self-centering) lathe chuck. 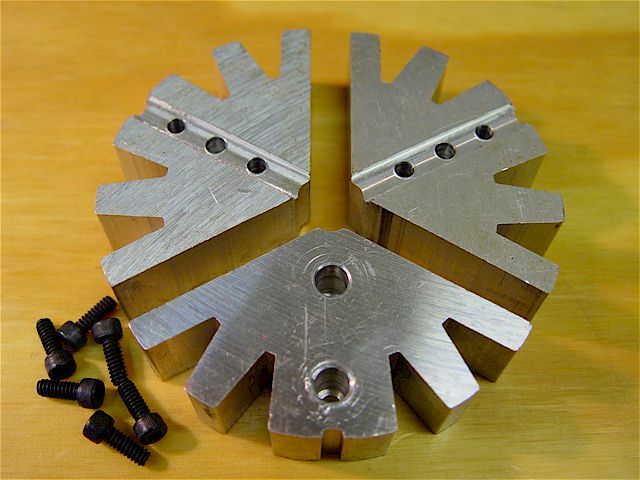 Replacement jaws for 3-jawed, scroll chuck. 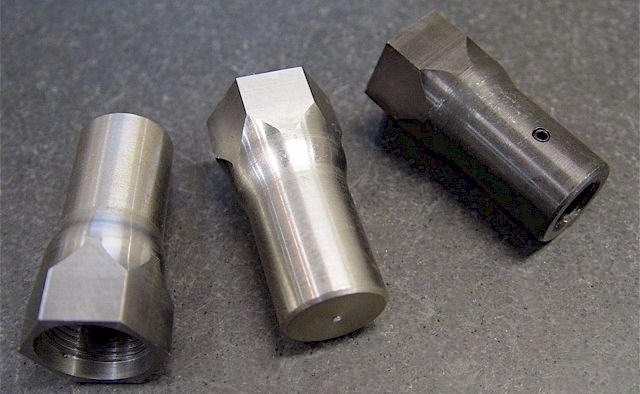 These jaws fit the 4-jawed scroll chuck, too. 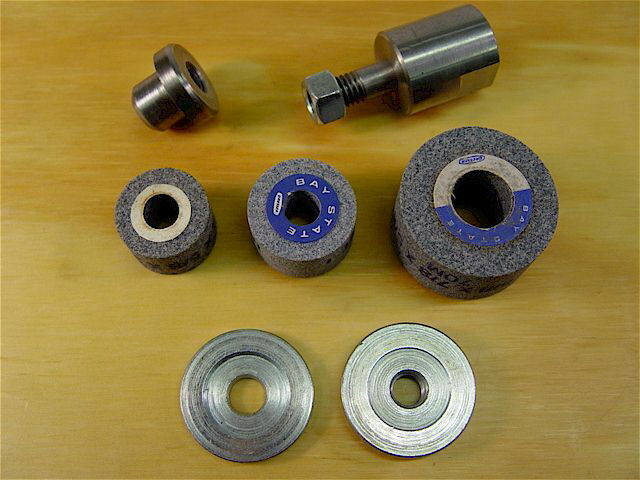 Circle jaws (right) provide increased support for thin parts. Machine to suit setup needs. 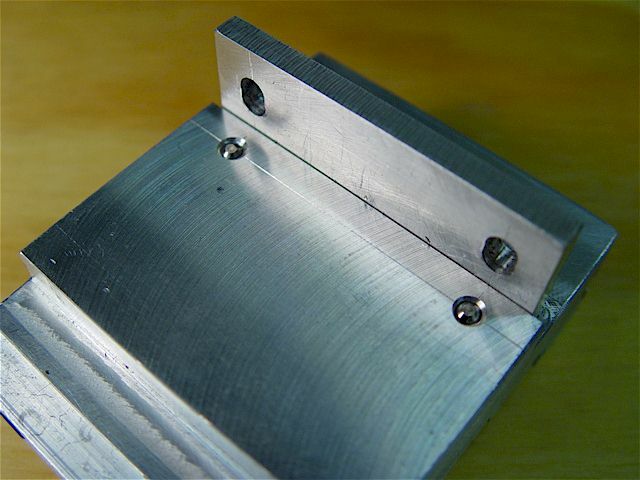 Replacement aluminum soft jaws (backside also shown). Full-circle aluminum soft jaws (backside also shown). 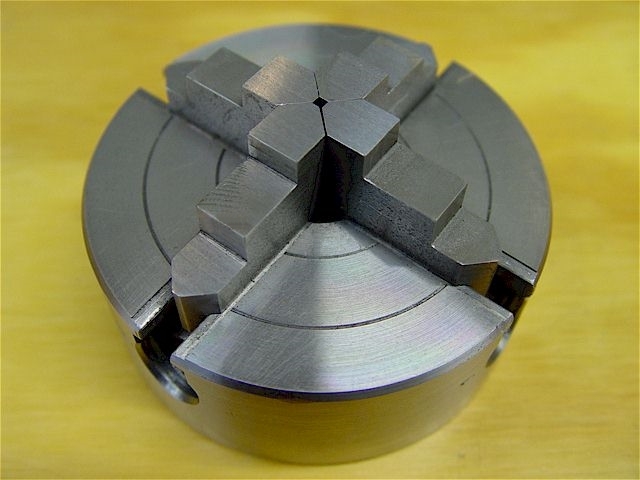 3-1/4" diameter 4-jaw scroll (self-centering) lathe chuck. 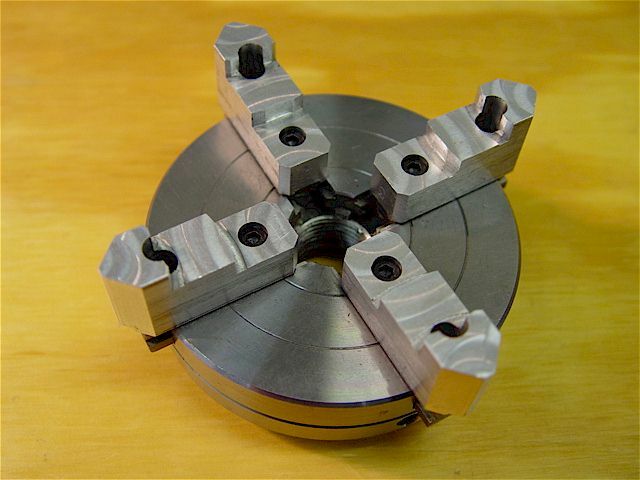 3-1/4" diameter 4-jaw (independent) lathe chuck. 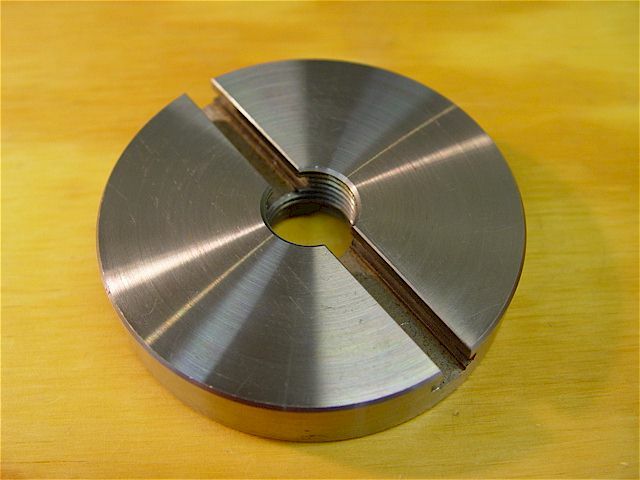 2" diameter, 3/4-16 chuck adapter for mounting a chuck or a Taig collet as a fixture to the mill table. 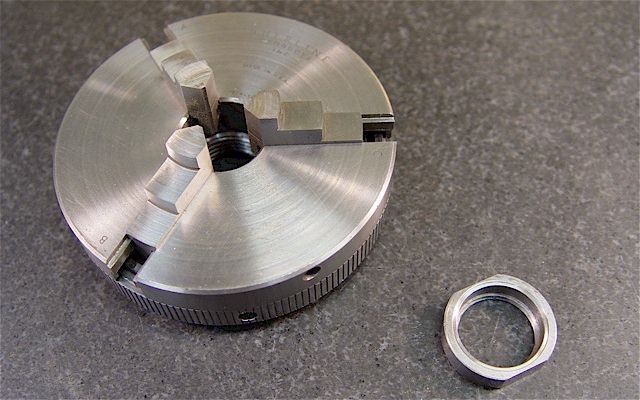 This is an all steel, 3-jaw chuck but it does not use a threaded spindle with a shoulder like the Taig. In order to have it seat evenly, I made a threaded spacer from a Taig blank steel arbor. 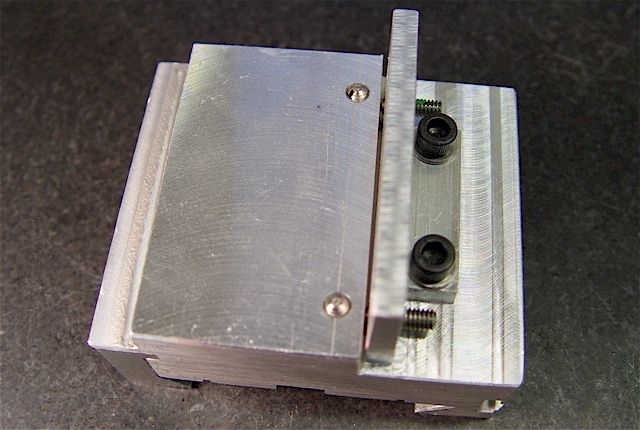 The spacer screws on & covers the spindle's shoulder. I surface ground it to make it extra flat & parallel. It also has two milled flats for a 7/8" open-end wrench. 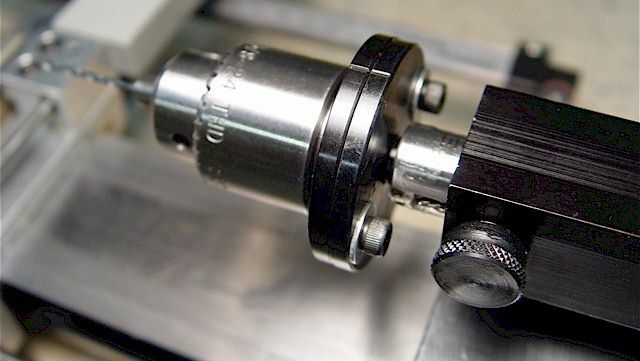 Note the threaded, wrench-tightened spacer between the spindle face & the Sherline chuck. CAUTION: the chuck must be clamping a part otherwise the jaws can unscrew under motor startup torque & fly outward. Sherline tilt table. Not as accurate as a sine plate but easier to use. 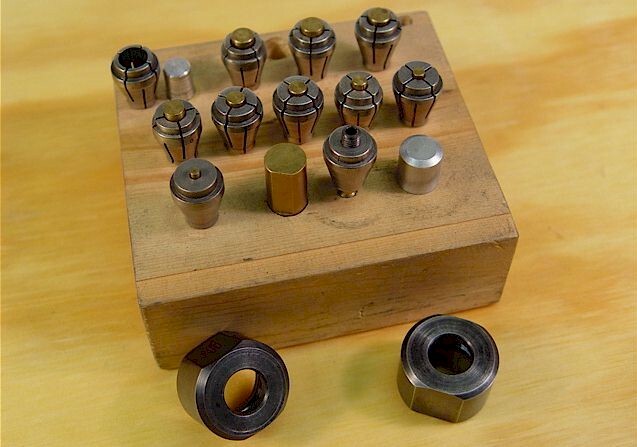 Seven OEM collet sizes, their closer nuts & several blank collets that have been threaded to help turn down screws. 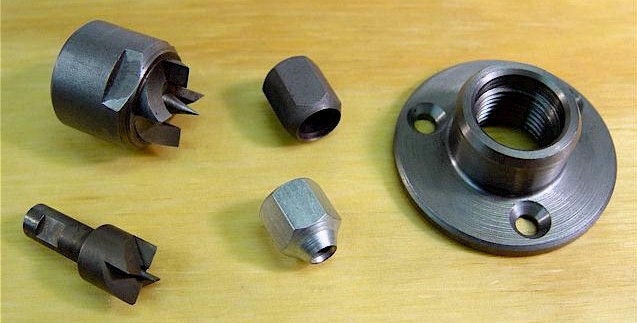 Collet sizes: 1/8", 5/32", 3/16", 7/32", 1/4", 9/32", 5/16". These are soft steel that can loose their shape & thus precision. The ER-16 collets with adapter are the superior approach. 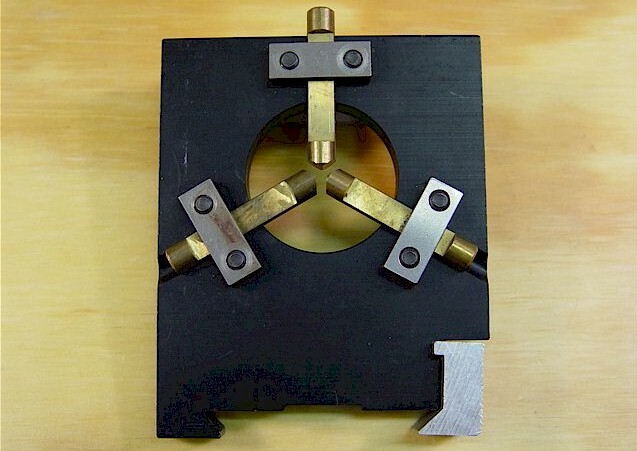 The brass peg is a tool bit height setting gage. 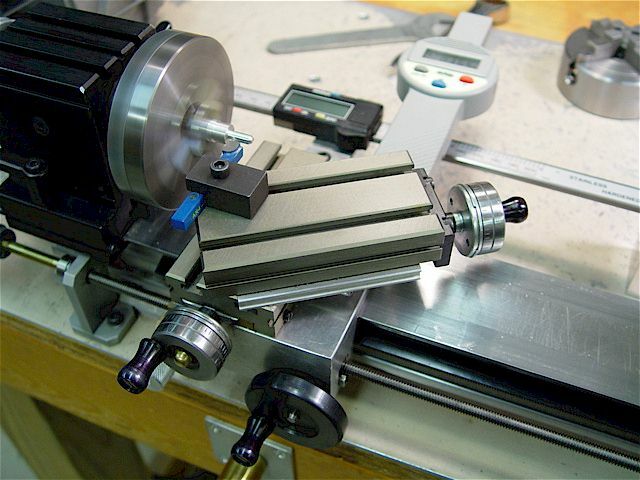 The stepped aluminum peg is for initial alignment of the 4" rotary table to the mill spindle. depth stop for chucks. The live center has a tension adjustment hex screw inside its end. 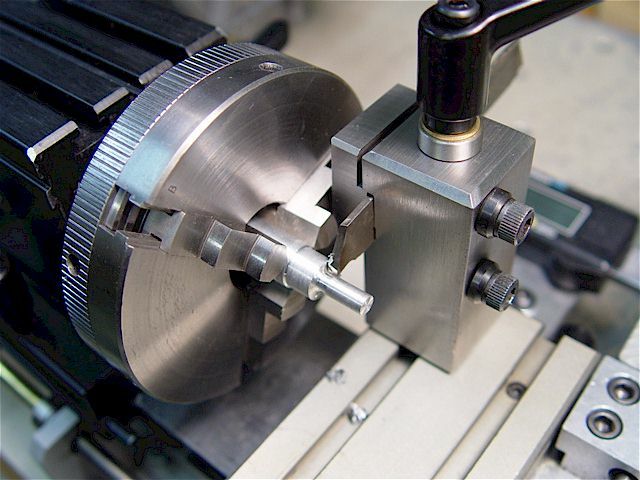 Dead center is threaded to allow mounting of accessories like a drill chuck or a die holder. 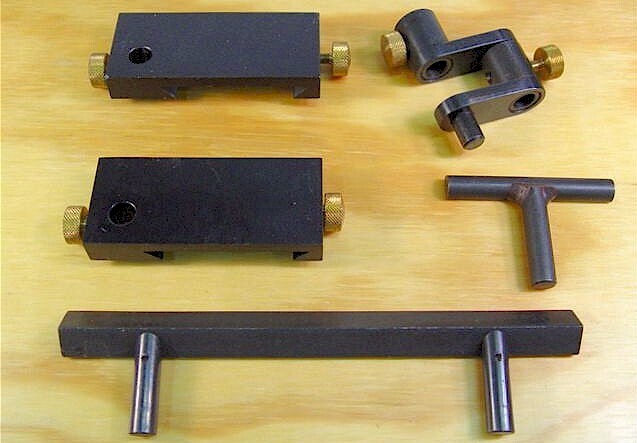 Steel 10-32 T-nuts for the Taig lathe & mill. 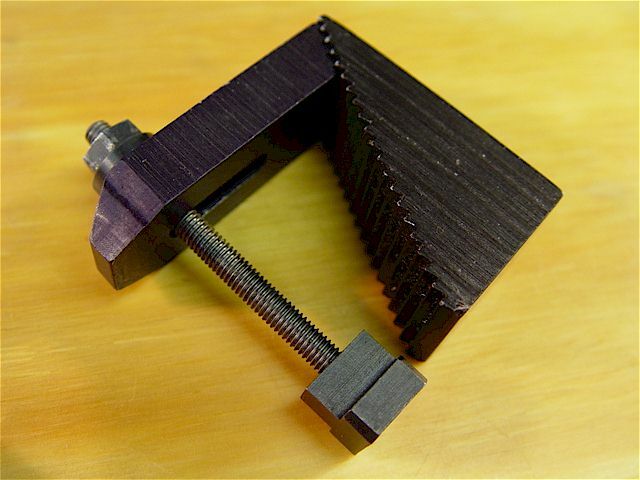 The bottom thread is incomplete to stop the screw. Taig OEM standard aluminum tool post. They are easily modified. 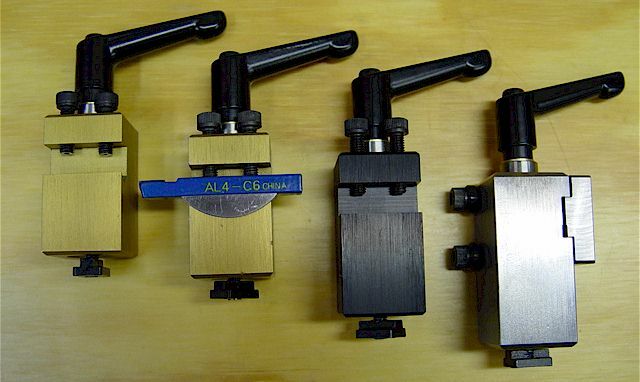 An upgraded standard tool post, a modified rocker-style tool post, a black back tool post & a cutoff tool post. 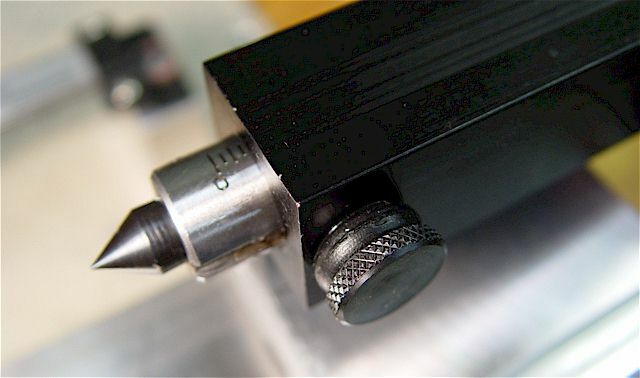 The black & cutoff tool posts are mounted at the back of the cross slide. 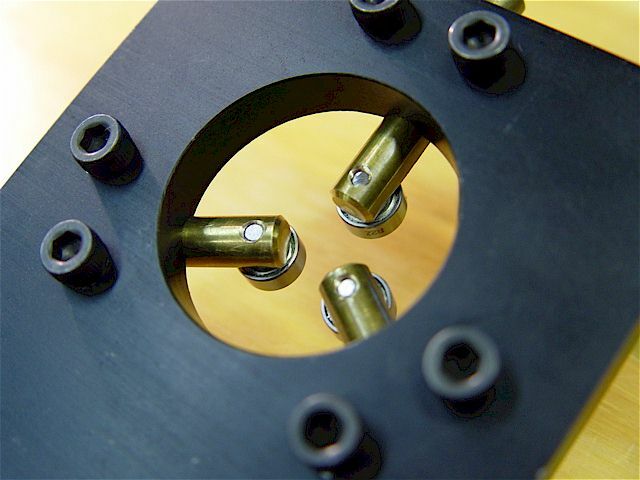 A2ZCNC steel T-nuts are now used. 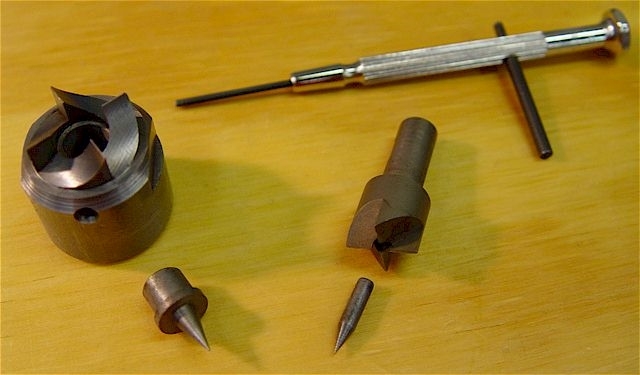 The tool bits are used upside down (a rigid setup) thus two tool bits (both front & back) may be used jointly. for bolts. The rods are threaded into the nuts with Loctite. Cap-head screws replaced the set screws. 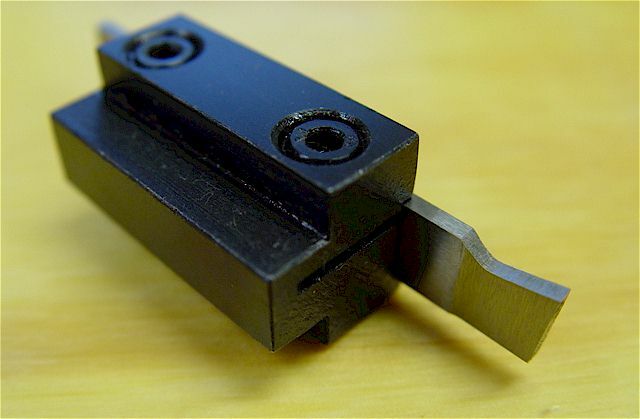 T-bar cutoff tool uses the blade upside down at the back side. The tool works well & blade is easily re-sharpened. Uses a standard 1/16" x 1/2" x 4" cutoff blade. Designed to cut from the back with the blade upside down. Superior to the 1/4" x 1/4" shank cutoff tool bit. All-steel construction. 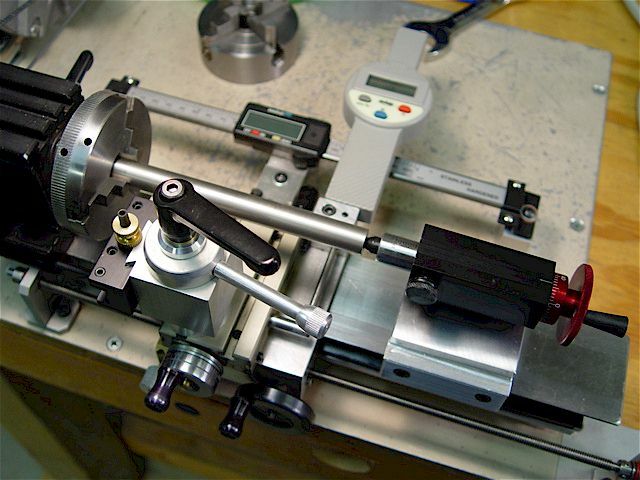 Tool post has been adapted for the 9x20 lathe. 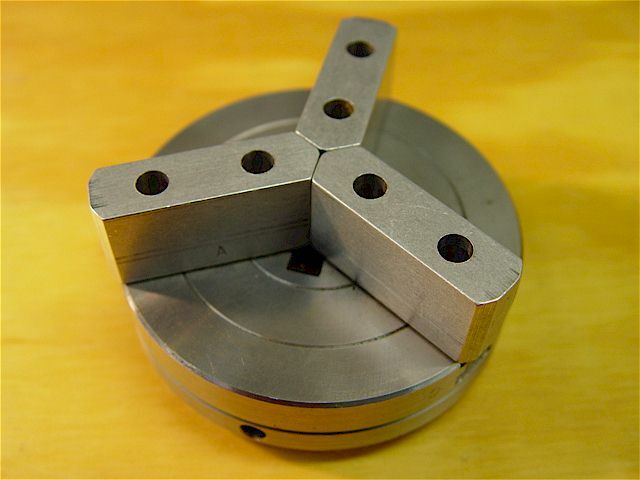 3/8" steel holder for a 0.083" x 0.3915" x 2.8" HSS blade. 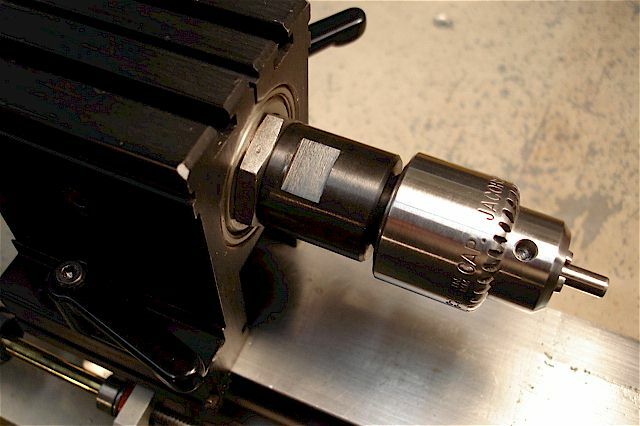 Above: Newer design for the Taig mill ER-16 spindle, 3/8-24 drill chuck arbor with 3/8" shaft . 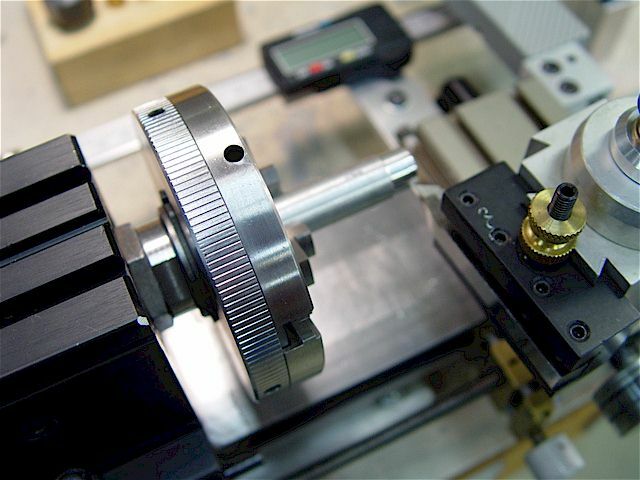 Below: OEM upgraded Taig lathe chuck arbor. 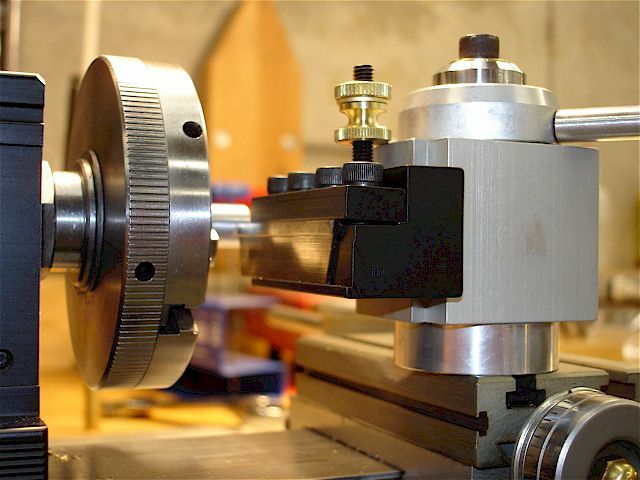 Taig lathe with drill chuck arbor that threads onto the spindle nose. 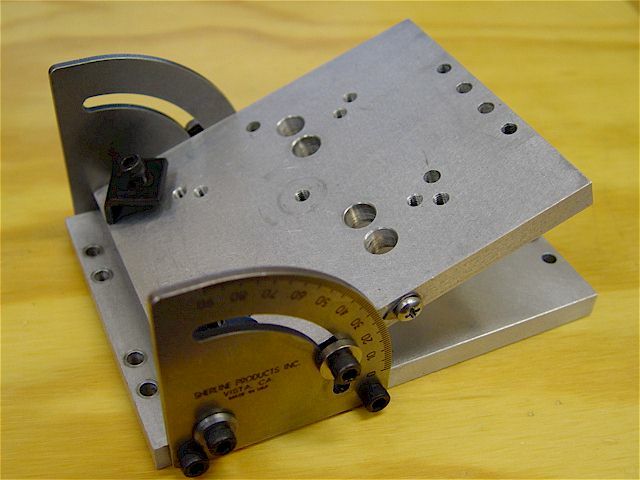 The original design used a drawbar. 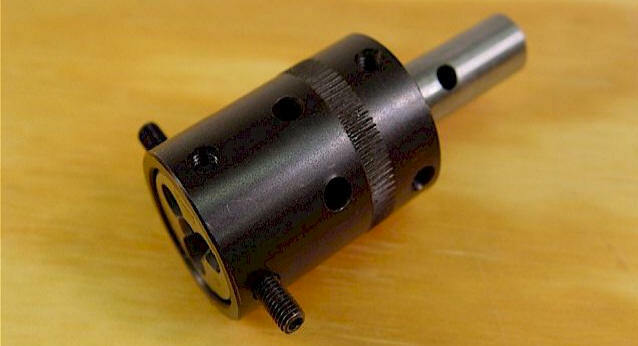 Adapts 3/4-16 spindle to ER-16 collect chuck. ER-16 collets have a larger continuous range of sizes (1/32" ~ 3/8") & are of professional quality. 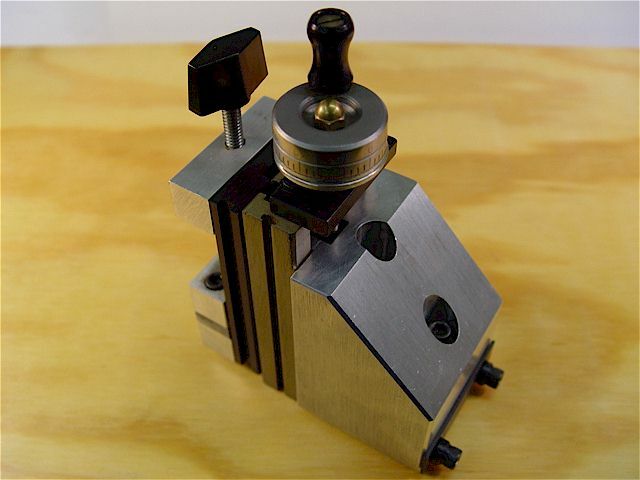 Highly recommend quality ETM (Israeli) ER-16 collets over the standard Taig collet set for both the lathe & mill. 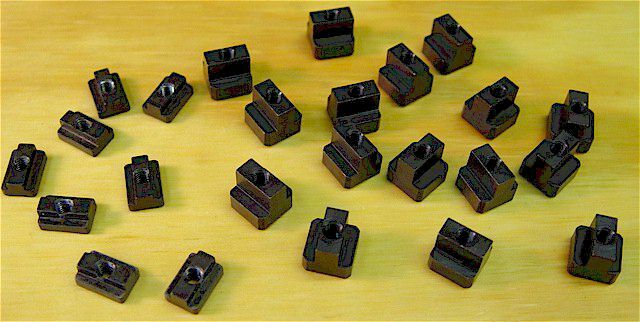 A set of 10, superior, high-precision, ground, hardened ETM ER-16 collets (Israel). 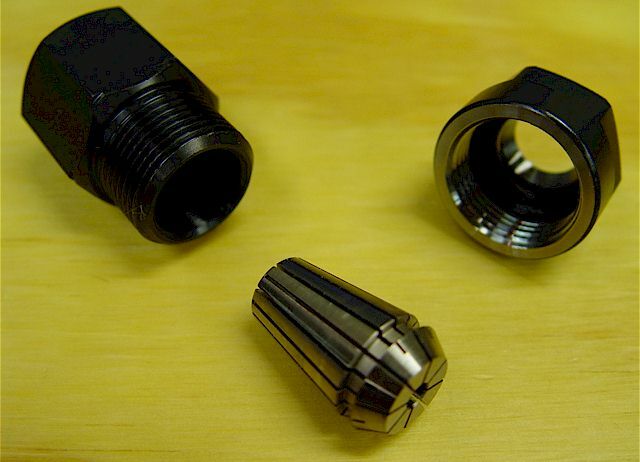 An eccentric ring locks the collet inside of the nut. 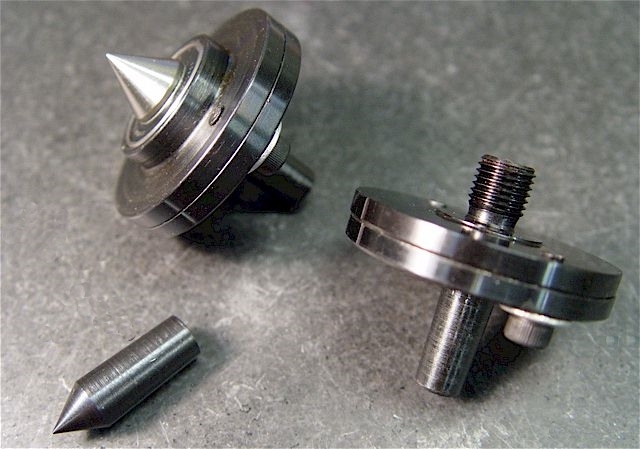 ER-16 Taig spindle arbors both blank & for 1/2" shank end mills. Uses a lot of Z travel, though. Allows short taper cuts. OEM brass spinner knob replaced with a pivoting-style knob. 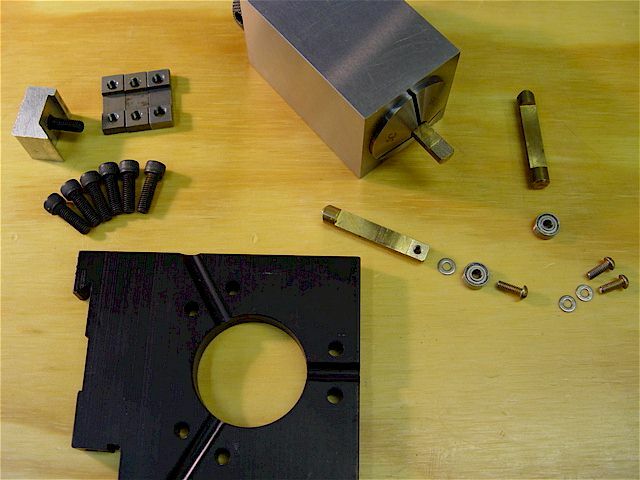 The compound to cross-slide attachment bracket uses a conically-shaped ring (underside). It is soft steel that can distort under heavy clamping so it was surface hardened using Kasenit compound. 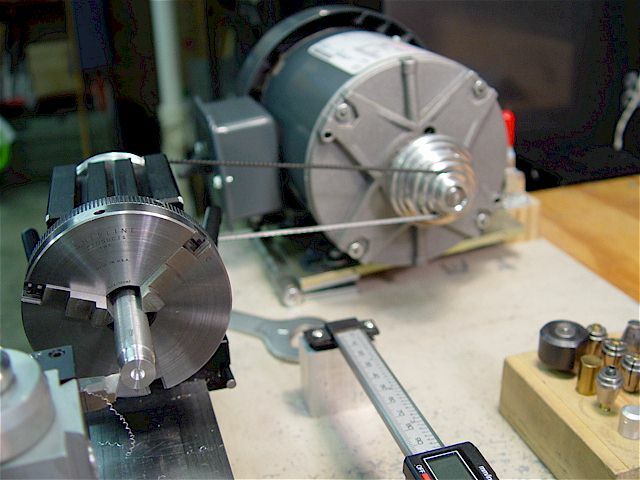 threading on lathe-held rods. 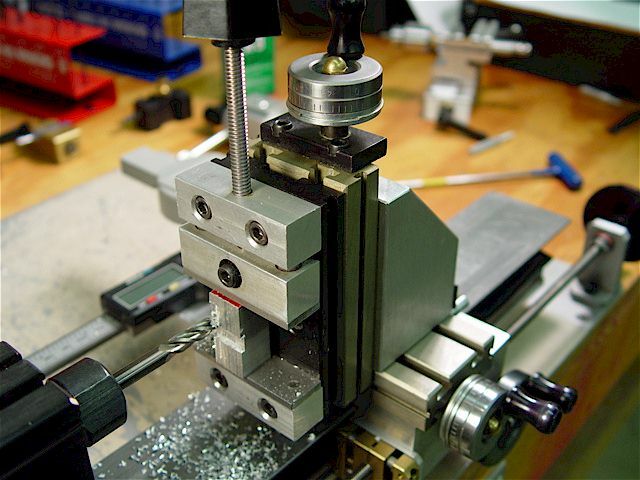 Use a bar to tighten/loosen onto the dead center & rotate housing during threading. 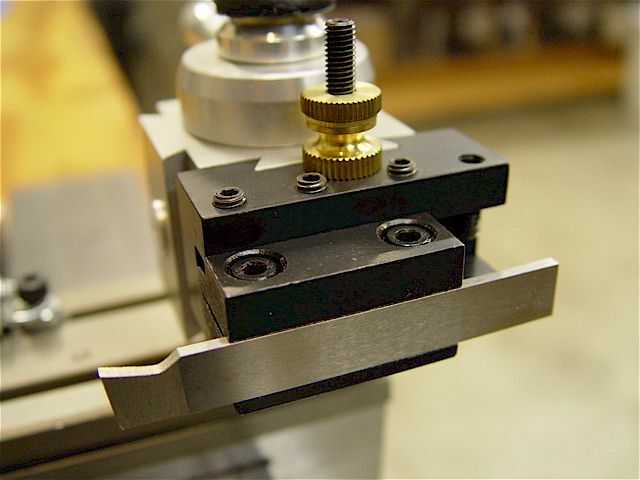 A MT2 arbor can also be used to adapt this holder to the 9x20 lathe tailstock. 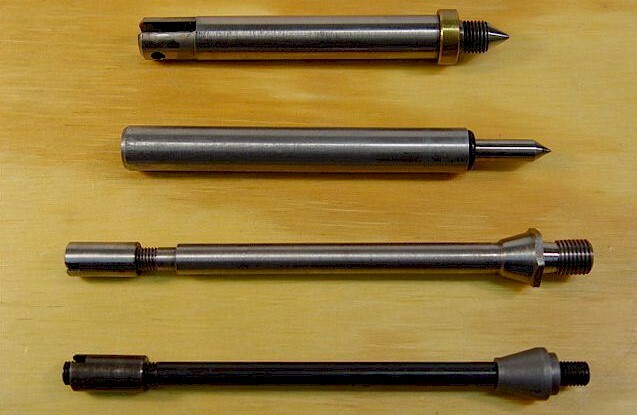 1/2" medium duty & 1/4" industrial drill chucks. 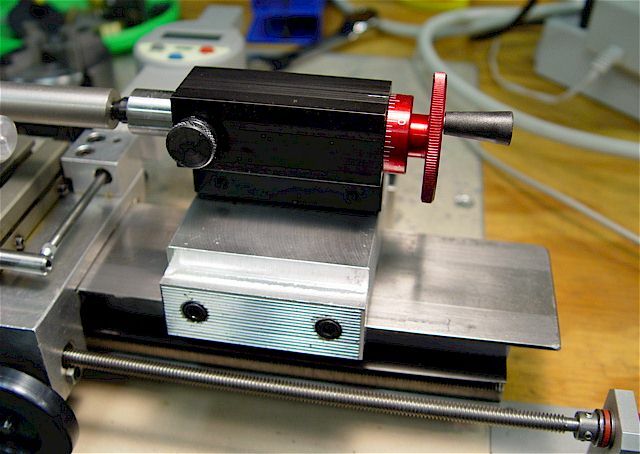 3/8-24 thread attaches to spindle using a drawbar adapter. 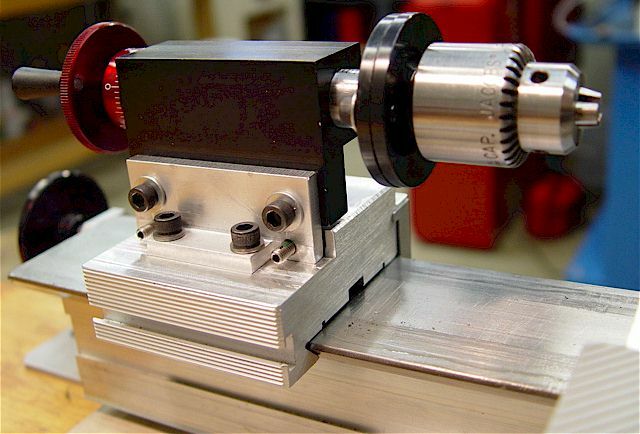 Chucks attach to tailstock using the dead center. 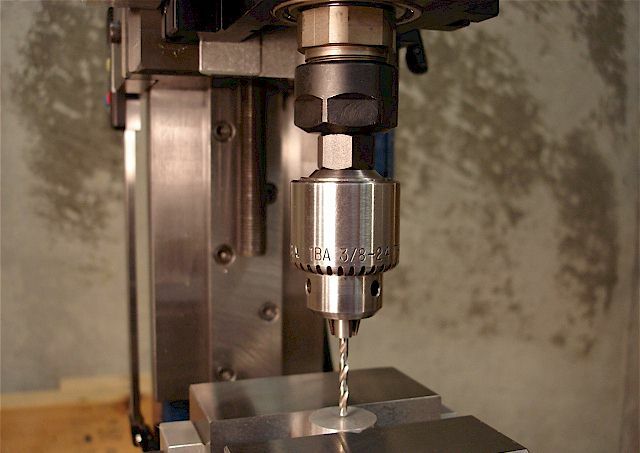 Allows slotting/milling of very small parts on lathe; limited range/use/accuracy. 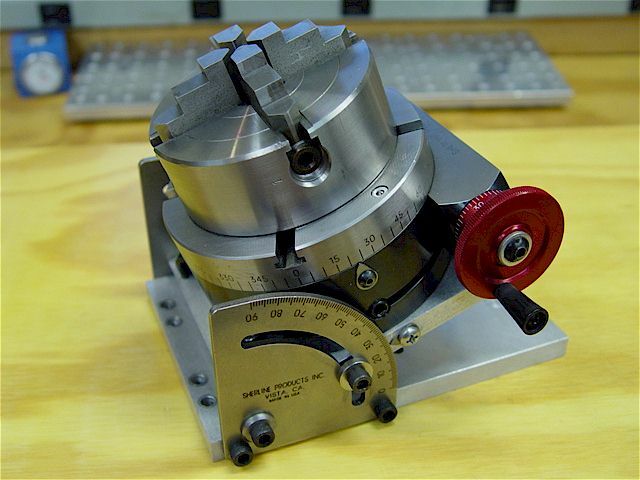 Supplied with low-end milling vise attached. 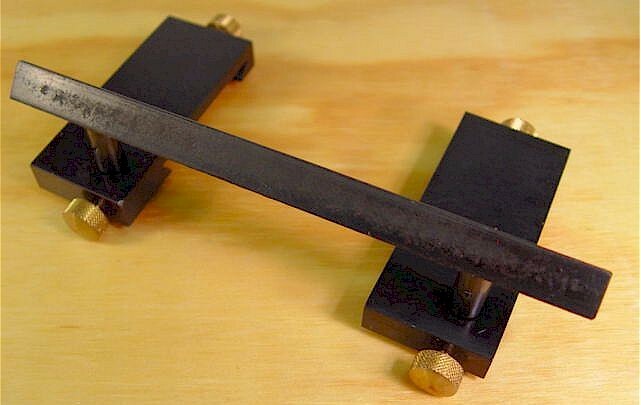 This vise is not really precise enough for use on a mill. 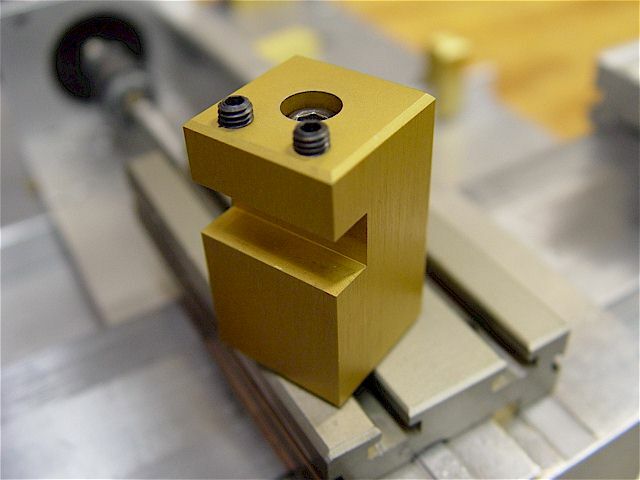 A precision vise is essential for milling. 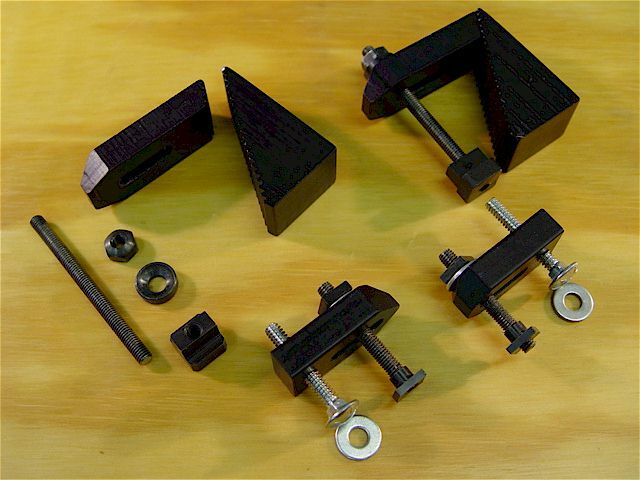 The larger toe-clamp set is for the Taig micro mill & the smaller set is for the Sherline 4-inch rotary table. 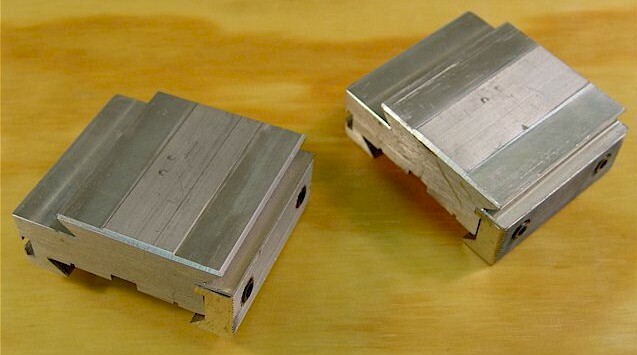 tailstock riser blocks. Spindle riser block can be used on the mill, too. Their use reduces rigidity. by the tailstock. 3/32" to 1-1/2" capacity. 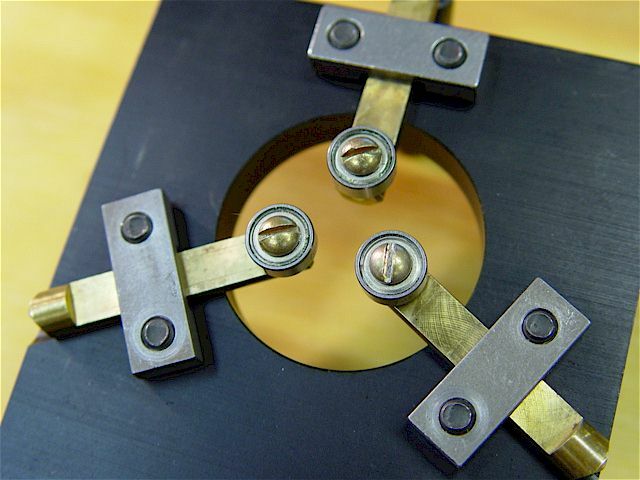 The three fingers were subsequently modified to hold bearings. 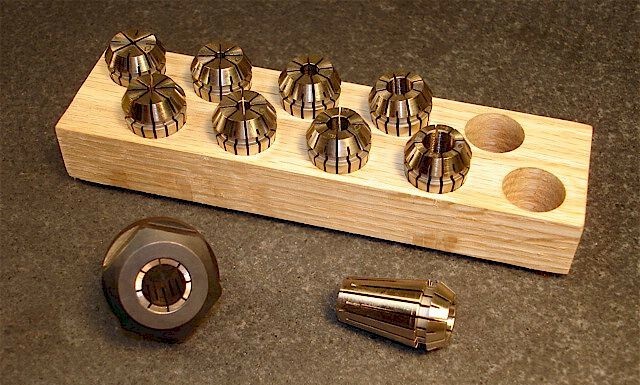 Milled the opposite finger end flat & tapped it to hold a 3/8" OD x 0.1555" thick x 1/8" ID sealed radial ball bearing. A 5-40 screw with a small washer in-between the post & the bearing is the fastener. Only the hub is clamped. Blue Loctite was applied to the threads. To return to Taig OEM functionality, simply reverse the fingers. These bearings were designed to withstand non-radial forces, too. 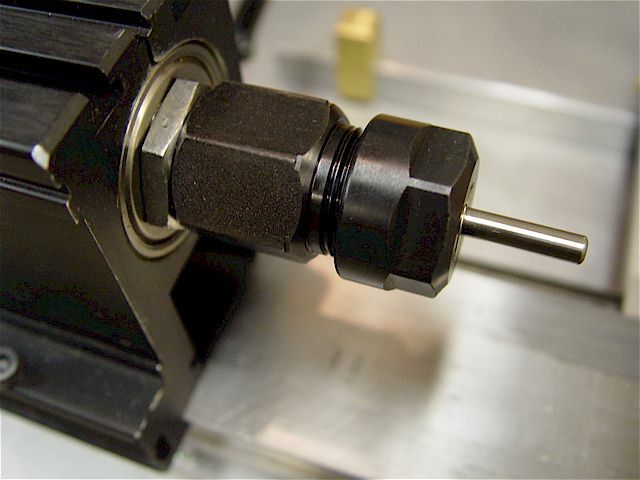 The screws ends are below the rod's surface allowing almost full retraction into the holder. 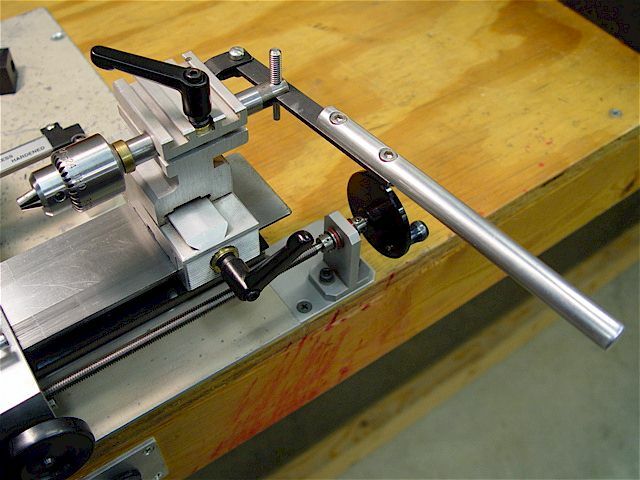 A similar modification was performed for the Jet BD-920N lathe's steady & follow rests. Obligatory tailstock handle extension; aluminum rod with a flat milled & two, SS 10-32 cap-head screws. threads to function as a gripping surface. 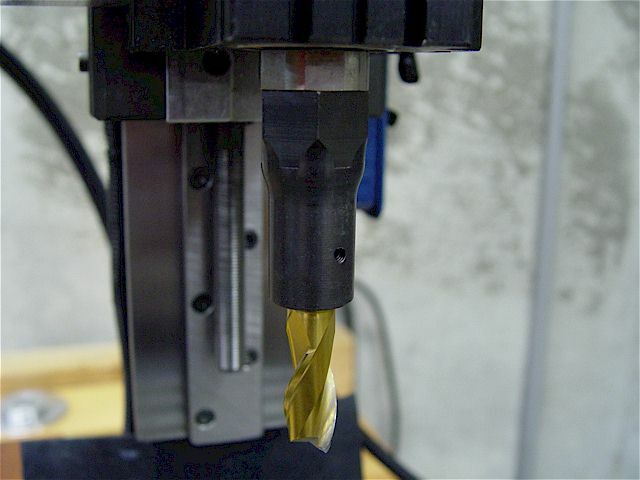 A 1/4" Jacobs industrial quality drill chuck is shown, mounted. short slots to allow adjustability for tramming. Modified a Taig riser block to function as the base. 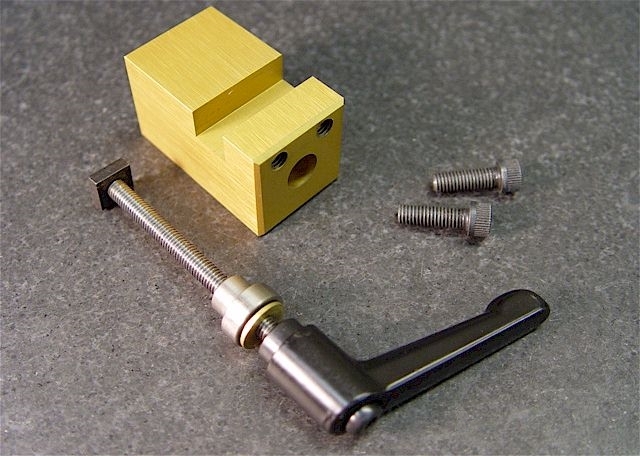 Two set screws with locking nylon inserts are centered under the tailstock body for fine vertical adjustments. Access for the 8-32 set screw's 5/64" hex wrench is on the bottom side of the bracket. Two additional set screws with locking nylon inserts are positioned on bracket for fine horizontal adjustments. 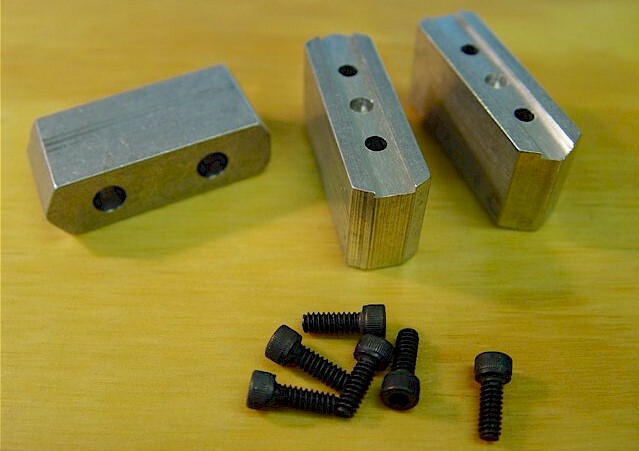 Once set, the screws allow easy, repeatable (aligned) reassembly for other applications that use the OEM base. 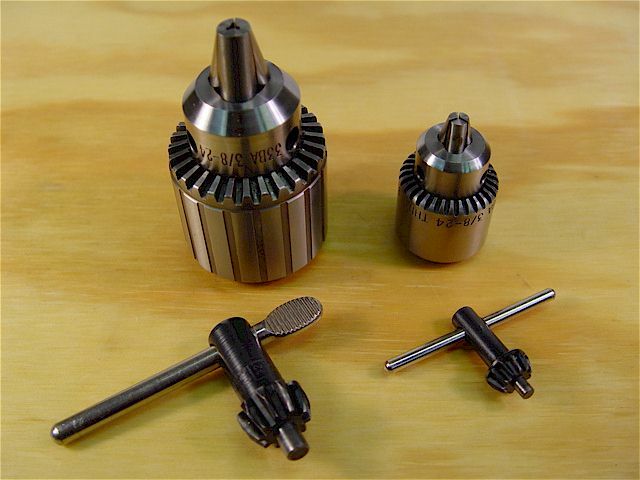 Sherline MT-0 dead center, adjustable live center, & adjustable 3/8-24 drill chuck adapter. 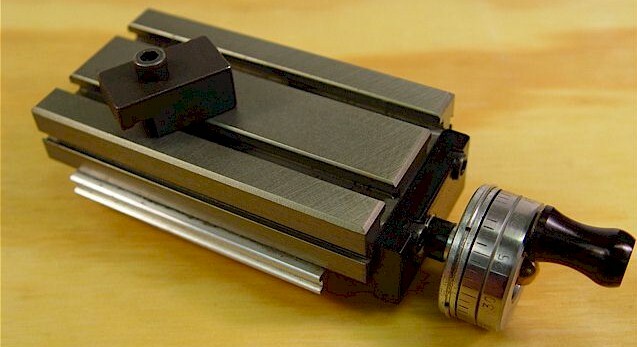 Sherline does not precision grind their accessories' MT0 tapers making the fit to the reamed tailstock, marginal. 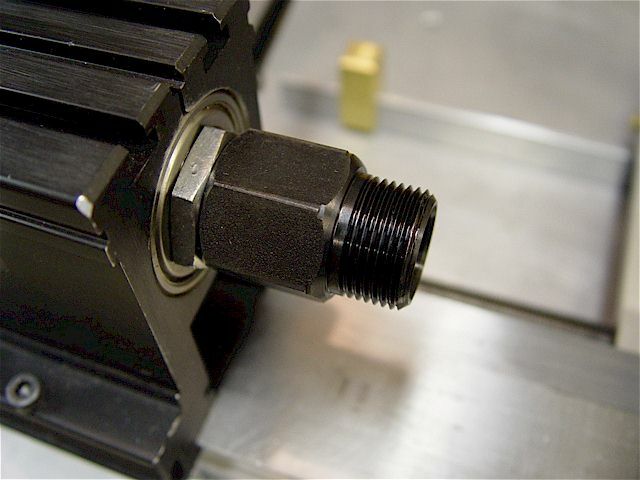 8-32 cap-head bolts with washers past through oversized holes to allow alignment to the spindle. 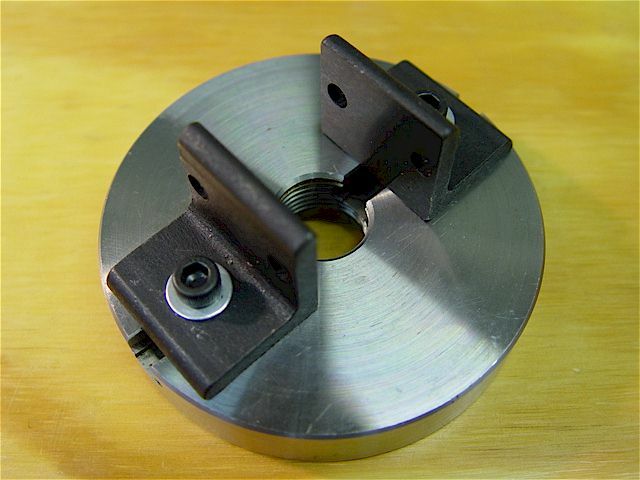 for direct attachment to spindle. Soft steel composition. Handy & low cost, so buy a lot of them. Two different sized spurs & cups (dead centers). 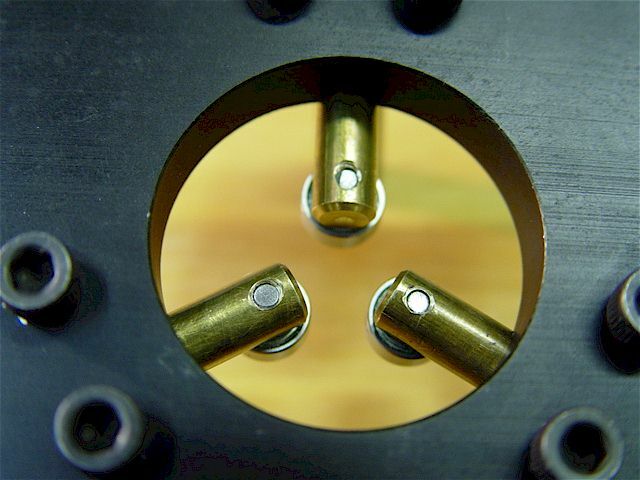 A faceplate with three holes for wood screws. Faceplate with L-brackets. Use screws to hold the wooden part. Dove-tail bases clamp the lathe bed. Taig Lathe manual. 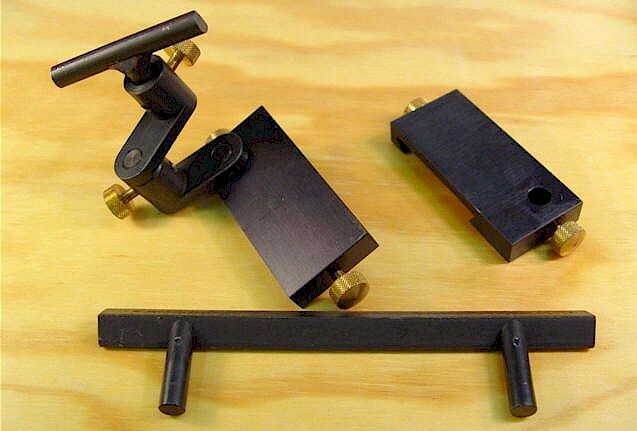 Adjustable tool rests for turning wood. 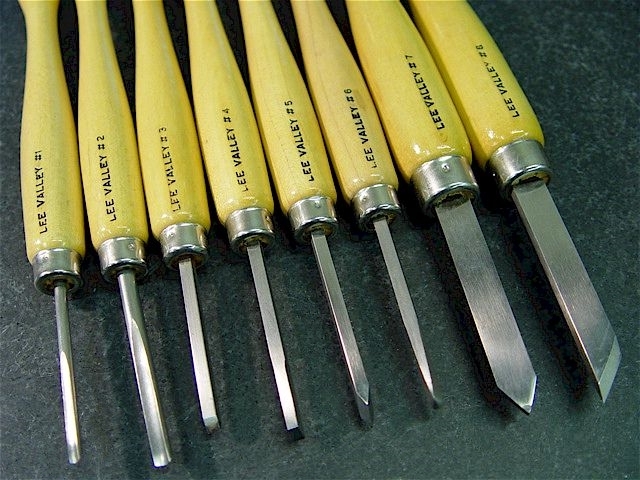 Small lathe wood turning tools #1 through #8.